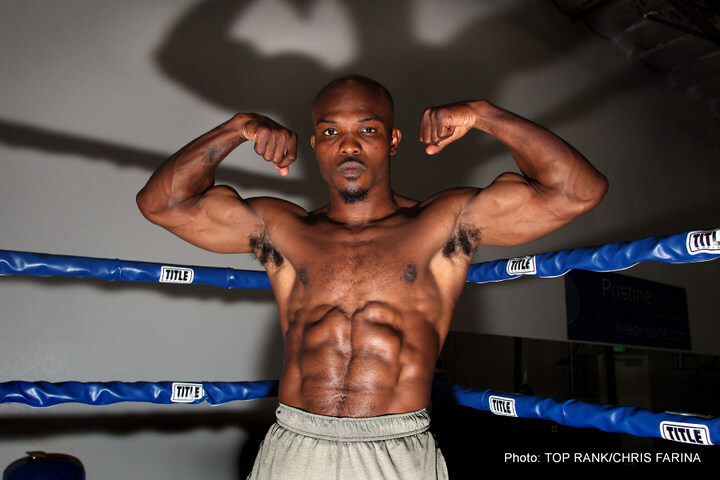 According to a news piece on RingTV.com, Palm Springs warrior Timothy Bradley is set to announce his retirement from boxing imminently. The former two-weight world champ will turn 34 next month and he has apparently decided that he has fought enough. If it is indeed the end (there seem to be a few fighters pondering retirement right now; what with Bradley and Tyson Fury apparently done, and Kell Brook also stating recently how he will only know if he still has the desire to fight once he begins training again), Bradley, one of the most respected and genuinely admired fighters of recent years, goes out with a fine 33-2-1(13) record; during which he was never stopped. Bradley, despite not being blessed with anything that could be referred to as thunderous punching power, was more than willing to go to war with his opponents. Over his 12 year pro career Bradley rumbled with the best: Manny Pacquiao X3, Ruslan Provodnikov, Juan Manuel Marquez, Brandon Rios, Jessie Vargas, Joel Casamayor, Lamont Peterson…….and on the impressive list goes. So, is Bradley worthy of going into The Hall of Fame some day? Bradley’s biggest, and most controversial, win over Manny Pacquiao in June of 2012 earns “Desert Storm” big points, regardless of the debatable nature of his decision win – a win is a win, is a win, and all that. While no fan who witnessed it will ever forget the quite incredible action Bradley and Russian tank Provodnikov gave us in their stupendous March 2013 war. That fight, one that saw both men exchange savage punishment – Bradley proving without any doubt he had one of the finest chins in modern day boxing history – earns Bradley some major points. The 12 round battle was so tough, so damaging, it took Bradley two months to fully recover. Bradley’s excellent wins at welterweight aside, the shaven-headed warrior also achieved plenty down at super-lightweight. Back in May of 2008, after just under four years at pro level, Bradley travelled to the UK to take on Junior Witter, one of the most avoided fighters out there at the time, to take his first world title, the WBC 140 pound belt. Fine wins over Kendall Holt, Peterson, Devon Alexander and Casamayor were included amongst the six world title fights that followed at the weight. Then Bradley moved up to 147, took on Pac Man, Provodnikov and Marquez, beating all three. Here in 2013, Bradley was at his absolute peak. A rematch loss to Pacquiao then came, along with good, solid wins over Vargas and Rios, along with a draw with Diego Chaves, in a fight most felt Bradley actually won – before Bradley fought his rubber-match with Pac Man, dropping a second UD in June of 2016. Add up Bradley’s body of work, his wins over big names, his incredibly gutsy performances, his willingness to always face the very best, and yes, it’s likely he is deserving of going into The Hall. Ultimately, though, Bradley will be remembered as one of the sport’s genuine good guys. You are here: Home / Boxing News / Timothy Bradley: Hall of Fame-worthy?